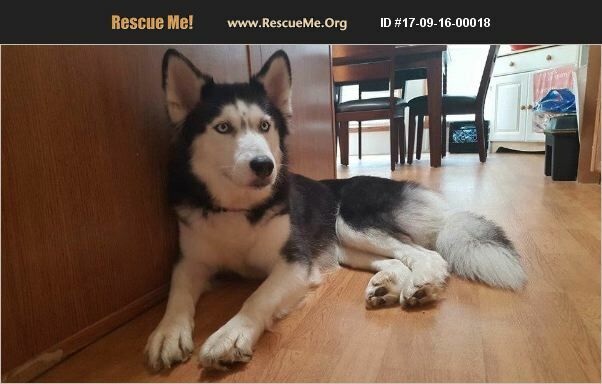 Florida Siberian Husky Rescue View other Siberian Huskies for adoption. Meet Nyssa - a 3 year old husky and she literally wears her heart on her chest! Nyssa is a very sweet girl, she is always up for snuggles on the couch and she will shower you with kisses. Nyssa also loves to run and play, and going on long walks are her favorite! She is still learning better leash manners, but as soon as she sees you get her leash out, she'll give you a happy dance! Nyssa is still learning about the crate because she has a little bit of separation anxiety. She needs a family who can be patient with her, and preferably one who is home most of the time. Having someone home most of the time will also help her with house training. She is still learning that part of dog-hood. She would also do best in a home with at least one other dog as this helps her feel more comfortable, and she loves to play, but a cat free home would be best. Like a true husky, Nyssa is great at climbing fences - it's important to be alert to her and a taller fence is encouraged. Are you interested in giving this sweetheart a home? If so please email huskyhavenfl@gmail.com to adopt her, and get ready to fall in love! She is microchipped, spayed, and up to date on vaccines. Adoption fee is $250.